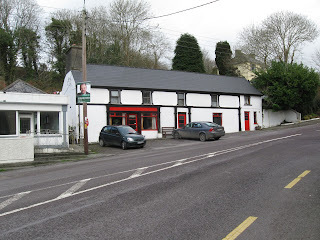 I hadn’t been back to Ireland for twenty years, until the night I was stranded at Maura Donovan’s pub, Sullivan’s, in Leap, which is in West Cork. My name is Diane Caldwell, and I left the country because I was suspected of killing a neighbor. Never arrested, never tried, but everybody around simply assumed I’d done it. I lived in England then—as I do now—but I’d inherited my grandparent’s cottage in West Cork and I used it as a holiday home, sometimes with my husband, sometimes alone. The night my neighbor Sharon died, I was there on my own. I finally came back to sell the house, since I hadn’t even seen it since the police let me leave after the murder, and I hadn’t had the heart to rent it out. I came over from England to sign the legal papers, and I was on my way back to the airport when it started snowing. It snowed so hard and fast that I couldn’t make it past Leap. The lights were on at Sullivan’s, so I pulled over and went in. I wasn’t the only person who ended up there that night, and a few of the others knew who I was and remembered the old story. I tried to stay out of it, but we weren’t going anywhere that night, and somebody had the bright idea to give me the trial I’d never had when it all happened. At first I didn’t want to dredge up all those old memories, but then I realized I had never had the chance to tell my side of the story, and this looked like the only opportunity I would have. And that’s how we spent the night at the pub, with an interesting if random collection of people—like any jury. And the outcome? I think it surprised us all. I may come back again. And I’ll never be able to thank Maura Donovan enough for what she did for me. 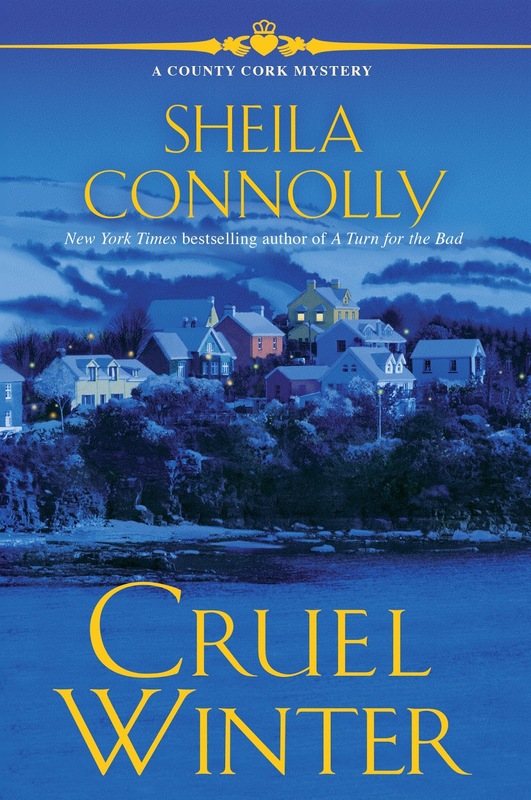 To find out what happened that snowy night, you’ll have to read Cruel Winter, the fifth in the County Cork Mysteries, to be released on March 14th. I’ll be giving away a copy of the book to one of the readers who answers the question: do you think Diane did it? Did the police get it wrong? 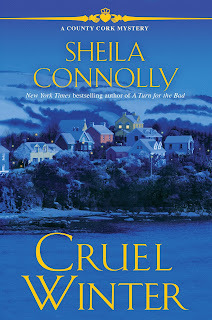 Cruel Winter is available for pre-order at Amazon and Barnes & Noble. By the way, the story is loosely based on a real murder—that still remains unsolved after twenty years. I love this series, I wonder what old Billy says! I love Old Billy. I want to adopt him as a grandfather. He's got an amazing memory, in spite of his age. I would guess that Duane Caldwell did not kill her neighbor....on purpose that is. Accidents happen and circumstances that lead up to that accident can be very twisted by others to have the outcome they want to be what they believe to be the truth. But there can always be alternate situations that could seem incriminating but have nothing that contributed to her neighbors death. I can hardly wait to read this book so would love to win it. Thank you. Now you have done it. You have sucked me into another series. I can't answer that without knowing the full story. This is a new series to me and I definitely want to read it after reading the excerpt. From the excerpt, I don't Diane killed Maura. This sounds interesting! I bet there were some twists and turns that no one bothered to look into. dalubbert (at) hotmail (dot) com. I haven't read any of the previous books but this has really grabbed my attention. I really don't know if she killed her neighbor but her comment "And I’ll never be able to thank Maura Donovan enough for what she did for me" makes me wonder if Maura knew and convinced the others of 1. Her innocence or 2. Helped divert the evidence!